Happy December and welcome to Monday Morning Blooms, the first and third Mondays of the month! In celebration of our inaugural Monday Morning Blooms series, we’re kicking it off with a giveaway to help you spruce up your home and deck the halls for Christmas! I’m joining my blogging friends who will be sharing their beautiful homes with more deck the halls inspiration this week, as well as their giveaway, so look for their links at the bottom of this post. A warm welcome to Yvonne at StoneGable who will be joining us for Monday Morning Blooms and thank you to Shirley at Housepitality Designs for organizing us! We are fortunate to enjoy some mild, sunny weather in December here in North Carolina and use our porch 10 months out of the year. . . yesterday was a balmy 70 degrees! I did a little Christmas ‘nesting’ on the porch, to make things merry and bright. . . gathering some books to curl up with for some cozy reading and Christmas inspiration. An amaryllis is ready to burst into bloom, planted in a buffalo checked bucket, topped with pine cones and shiny red ornaments. A chickadee ornament flew in to land in a glittery nest, tucked in among pine cones in a poinsettia-filled basket. . .
And a nuthatch is nesting in a pair of tartan plaid wellies, filled with a mix of fresh greenery, pine cones and ribbon. Pillows and a pair of warm throws make for comfortable and cozy nesting on the porch. . .
With a bird bundled in a scarf and Santa hat, ready for wintry weather. And a cardinal-lidded teapot is ready to pour a Christmas blend! To ‘spruce’ up the porch for Christmas, I hung a beautiful fresh and fragrant wreath from Lynch Creek Farm! Lynch Creek Farm wreaths are the freshest in the industry, with evergreens procured from the forests in their backyard of the great Pacific Northwest. Each handcrafted holiday wreath is full and lush, weighing in at least seven pounds. The 26-inch Country Christmas Wreath is a fragrant mix of fresh noble fir, pine, juniper and incense cedar. It’s topped off with ponderosa pine cones, faux apple-berry-pine cone picks and a red and black tartan plaid bow. Care instructions are included on the box for wreath longevity. In colder climates or northern states, wreaths will last about 6-8 weeks. In dry climates or southern states, wreaths will last about 4-6 weeks. Tip: For a longer-lasting wreath, mist the back of the wreath with water every two to three days. Evergreens will drink the water, making them more fragrant. Lynch Creek Farm, is a small family owned company, dedicated to producing sustainable evergreen products. Evergreen boughs are cultivated by trimming the lower branches of younger, coniferous trees in healthy and robustly forested areas, along the foothills of the Cascade Mountains. Once a tree matures to 15 – 20 years in age, it is no longer trimmed, prolonging the lifespan of the woodlands, ensuring they will continue to grow and thrive for decades to come. The Tartan Centerpiece from Lynch Creek Farm is fragrant with pine, incense cedar and noble fir boughs and bay leaves. I placed it on a tree slice charger to add a woodland note. Pine cones, red ball clusters, berry picks and red and black tartan plaid ribbon accent provide decorative accents to the centerpiece. Upon arrival, add 1/2 cup of water to the center of the oasis foam. Mist with water and add another 1/2 cup water every 2-3 days to bring out the fragrance. Place your centerpiece in a cool location, out of direct sunlight. With proper care centerpieces should last at least 3 weeks. My centerpiece I received from them last year stayed fresh well into February! Lynch Creek Farm has generously offered to give away a Country Christmas Wreath to one of my readers. Gracie and Lola are decked out in their Christmas sweaters to share the details of the giveaway. . .
To enter the giveaway, just leave a comment telling us how far along you are in your Christmas decorating. . . Overwhelmed and ready to run and hide from the Christmas bins and boxes of decorations? Looking to the heavens for help with Christmas lights that won’t work on your $$ three-year-old tree? Or sitting pretty because you’ve already finished with your decorating? This giveaway is open to residents of the continental U.S. through midnight, Saturday, December 8th. Note: Please make sure that you’re using your current email address in the comment field so that I can get in touch with you. Your email address will not be shared or published, only used to contact you about shipping in the event you’re the winner. Update 12/ 9: THIS GIVEAWAY IS NOW CLOSED. Thank you to Lynch Creek Farm for sponsoring this giveaway and supplying my wreath and centerpiece. Lynch Creek Farm offers free ground shipping on all their products, from fresh evergreen garland, mini tabletop trees, wreaths and holiday centerpieces, to anywhere in the continental U.S. I am almost done have just a few little things to add here and there but my tree is all decorated. Woke up this morning and decided the decorating was DONE!!! I just started my Christmas decorating. Little by little this year rather then all in one day. Christmas has showed up at both our homes and even my she Shed! We kept it simple at the LakeHouse as we are not here for very long… but it’s quaint and I love it. Merry Christmas to you and yours and those adorable pups! I look forward to your Holiday decorating with every season. This year does not disappoint! Absolutely beautiful. My out door decor is finished–I live in MN so as soon as product is available I get it done. My indoor decor is about 75% complete. I hope to finish it up in the next couple of days! Then it is on to baking! Beautifully inspiring as always….my holiday decorations are still in storage & hoping to start next weekend. Mary, Your porch is beautifully decorated for Christmas! I love the gorgeous wreath and centerpiece along with all your tartan touches! Of course your furbabies are brightest and sweetest ornaments on your porch! I just started my decorating this weekend and am about half way there. Every year I tell myself I’m not going to put of two tree and all the Christmas decor I have accumulated of the years but once I get going I can’s seem to stop myself. Thanks for the giveaway and chance to win! Thank you for the wonderful source! I will be ordering an arrangement for my Christmas table. It is exactly what I was looking for. I ordered flowers and an arrangement from a local florist and it was more expensive and lasted 3 days. I live in the middle of nowhere and getting fresh flowers seem to be a real problem. As always your ideas are beautiful; I used many for my Thanksgiving decorating and have looked so forward to your Christmas ideas. I am decorating inside today. Wreaths are hung outside and the Christmas garden flag is waving in the breeze. Shopping a bit at a time~fa la la la la! I’m almost finished with decorating, having my Sunday School class over for a Christmas Tea. Love the wreath and centerpiece. I adore your site! I get so many new ideas for decorating. I am just getting started with my Christmas decorating, I love fresh wreaths and love your centerpiece just beautiful. I too am in NC, and our lovely weather is changing this weekend will be our big first snow. I live in the western area, sounds like we are going to get quite a lot of snow. Not so looking forward to it in the mountain areas its so difficult to drive. But, I will fire up the fireplace and get all my decorating finished. I make wreaths to but, never get to do the fresh ones and they do make your house smell so good. I haven’t even had time to do a wreath this year, I usually have at least 4 done by now, but I have been busy with cakes as I bake too. 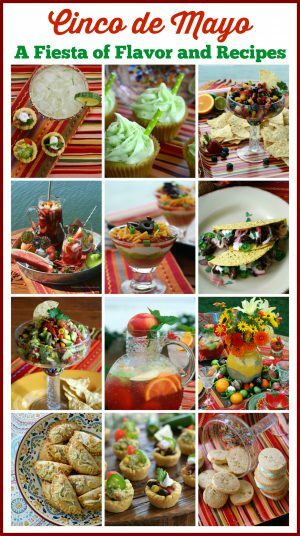 Thank you for posting this blog great recipes and decorating ideas. The outside is done ! Not so much the inside. :-) A couple of hours a day should have me ready by the week-end . I am done! Because of some reconstruction that ran late and a couple of small trips that popped up to interrupt my schedule, I decided to do a simplified version of my usual Christmas decorating this year. So instead of decorating by rote, old things are in new places giving us a completely new look and in some ways evoking memories of simpler times when I was growing up and Christmas decorating was far less elaborate. There is something to be said for nostalgia. Thanks for your inspiration and generosity. I live in central Vermont and have had snow on the ground since mid November. My wreaths are up and my collection of antique sleds are on the porches. About half way done in the house. Love what you have done. Merry Christmas! I can happily say that I’m done decorating! I didn’t do as much as usual this year as I have my 2 grand-kitties with me and they enjoy helping me kitty-proof the house! Anything I take out that I think might survive, they prove me wrong and back in the box it goes. LOL Frankly, I’m surprised the tree is still standing. I live in PA so, unfortunately, we don’t get to enjoy our front porches as long you, but I do love getting mine all decorated. I have greens around the door, a swag on my glass front door, red ribbons, a chair with one of my summer outdoor pillows, an old fashioned sled with greens and bows and bells and my favorite thing – a beautiful Moravian Star shining bright for all to see. I hang wreaths on all my front windows and I have candles in the windows year round. Christmas cards have been mailed, cookie list is made and I even started wrapping yesterday. I think I’m off to a good start. Your porch looks beautiful. I love the bench! I have welly’s like yours in black. I’m wondering if I can incorporate them on my porch? Thanks for sharing all your lovely ideas. I aslo follow Yvonne at StoneGable and love how beautiful and welcoming her home is. Wishing you a very Merry Christmas and Joyful Holiday Season! Well…..the dog has his Christmas sweater and the wreaths & stockings are hung. Due to some emergency home repairs the indoor trees won’t be going up, so we decorated outdoor trees instead. This year is may just be the dog and me in our Christmas sweaters!! BTW, I LOVE those plaid wellies! Just starting !! Thank You !! Hi Mary, my sister in law suddenly passed away, so in order to keep my mind busy I decorated before Thanksgiving which I have never done. We also live on the water so I just love your blog. We live on the Northern Neck and are very blessed to be able to live on the water. I still have a few more things to do decorating wise but with a funeral, in the middle of everything, it’s really hard this Christmas. Anyway, the fresh wreath and greens are just beautiful, nothing beats fresh. Thank you and I hope you and yours have a wonderful holiday. Your site and photos are just beautiful and whether I would win or not doesn’t matter. I generally don’t leave comments but those wellies are just decorated so well and the pictures of Gracie and Lola are beyond cute! No, I’m not done decorating yet…..I realized last night that I have collected too many decorations and can’t seem to figure out what I’m going to use this year….but I will try to duplicate the wellies for my front porch! You must bring joy to a lot of people with your posts and pictures so have a very Merry and Wonderful Christmas! I enjoyed EVERYthing You post !!! The fresh greens are lush and lovely! Plan to finish up the last decorating today and tomorrow, then the tweaking begins ready for entertaining next week. Determined to take more pictures of everything this year, since referencing them makes decorating faster and easier. We just put up our tree and lights, so we are pretty much done, but will continue to add a few pieces before Christmas arrives. The porch looks beautiful! I have to work today, then I start a week’s vacation tomorrow. That’s when the decorating will begin. I’m excited to start! What a beautiful Christmas porch!! I’m about halfway with my Christmas decorating! And hoping to finish in the next couple of days….. Thank you for the giveaway opportunity. I’m almost finished – we have a huge open house set in a few weeks so I’ll tweak things until the first guest arrives. The wreath and table topper are gorgeous. 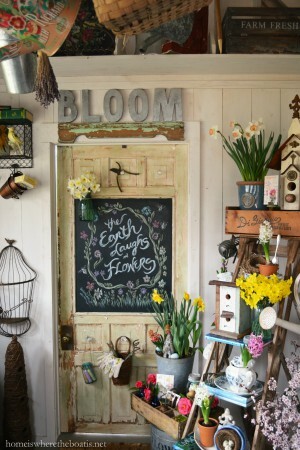 Your potting shed is my dream. I know you must have such fun decorating it for each season. My decorating inside is almost done.Even got my advent wreath done in time to light the first candle yesterday. Leaving for a girls only trip to Charleston so what gets done gets done. Leaving my front porch till last this year knowing I will get some great ideas down in S.C.. Planning a wreath decorating party after I get back. The weatherman is talking snow for the weekend which should really put us all in the spirit. Have a beautiful week. Oh my, so happy to see you gals! Your items from Lynch Creek are beautiful and, as always, your styling impeccable! That door behind the porch loveseat makes the wreath shine! The centerpiece on the wood charger is perfect, and the wellies in plaid….I would’ve sat out there all day yesterday in that balmy weather (we enjoyed it here too!). I am finished with Christmas decor, and now I’m having fun putzing around with a couple crafts. I’ve pared down (ha, many would laugh at that statement if they could see my Christmas decor) by selling a few vintage items, but that only had me digging deeper and doing things like re-working an old tabletop tree at the bottom of the bin. Of course, dishes are always part of the decor. I have the perfect place for that wreath in my sunroom. Count me in, and thanks for the opportunity! Have a great week, Mary. Mary…I cannot emphasize and compliment enough on the posts that you do on the porch…but must say that your Christmas porches are my fav…for the decor and for seeing the lovely girls dressed in their festive Christmas outfits!! Your wreath and arrangement are perfect for your porch and as always you always perfectly curate the decor. Oh those Wellies! Again, as in years past, the porch looks like a Christmas card!….Thank you so very much for being a part of our Monday Morning Blooms (formerly Floral Friday) …. Have a most beautiful day Mary!!! P.S. No, not finished with the Christmas decorating…being away half of November really put me behind!…but then again I always seem to be decorating at the 11th hour! Yes my Christmas decorating is finished. I am living in temporary quarters this Christmas as an oak tree fell on our home in March from a Nor’Easter. We did take our Balsam tree with us to bring Christmas into our temporary home . The Giveaway is wonderful and the wreaths look so fresh and beautiful! I would love one! I haven’t even started yet! Of course I had to wait and see all the beautiful things you did first to get some great ideas. You always inspire me with your creativity. My birthday is December 5 and that is usually my goal to get started. As always, thanks for your gorgeous displays. Can’t wait to see your blogging friend’s work as well. I love the scent of insense Cedar, and you’re plaid ribbon! I am usually finished decorating my house…this year I am running behind bit. I definitely will start this week since I am having a party next week. Decorating is all finished except for our tree. Our daughter, son in law and brand new granddaughter are coming for Christmas and we will all decorate it together wearing our Santa hats and listening to the sounds of the holiday. 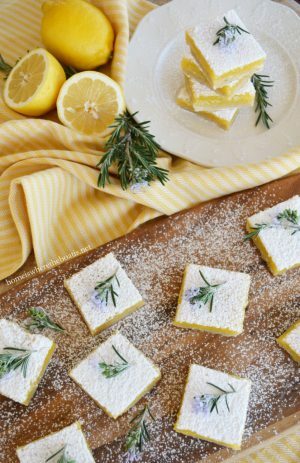 Just started following your blog and enjoying it so much! Merry Christmas from Indiana! I love your porch!!!! as for me? my mantel is done, all I’m missing is a wreath!!! no tree yet but soon….keep up the good work!!!! I done decorating! I started early this year because our granddaughters who are 3 and almost 2 are living only an hour away and I wanted to be able to see it all through their eyes! It usually takes me a week to get it all up by myself because I want it just so but this year I had some help from my sister who was visiting from Florida and I even left the tree decorating to my son thru love, my daughter and the 2 grands while I cooked! I must say it is the prettiest tree I’ve ever had! It still took a week but I had such a fun time of it! Thank you for this wonderful opportunity to win the gorgeous fresh wreath!! What a wonderful treat! I am through with my decorating other than wrapping a few gifts for the tree. I still have some baking to do but all in all I feel good about my progress. Thanks again! Beautiful as always! Would love to know where you got your rain boots and pillows from! Finished decorating yesterday! Now I can sit back and enjoy it. Love your posts! I put our tree up on Thanksgiving. And decorated the rest of the house the day after. A lot of baking to do. I would love to be sitting on your porch, sipping tea and taking in the scents of pine etc; from Lynch Creek Farms. I am over the hump in my decorating. Giant tree is up and decorated, front porch is finished and looking cute, if I may say so myself. Just need some finishing touches and maybe a shopping trip, thanks to some new inspiration from you this morning. Your porch is just delightful & that wreath is gorgeous! My tree is finished,and my snowman collection is snuggled onto shelves, and I’m hoping to finish decking the halls in the next few days. Inspiring post as always ~ I am never done and always adding something wonderful ~ right up until the end of the season! I went very simple this year with lots of plaid and green that I can use well into winter, so while I think I am done after looking at your beautiful decor maybe I need to do a bit more! Such a cute porch decorated in the red plaids and cute nature pillows. My centerpiece lasted for months last year, too. I’ve purchased poinsettias. It’s a start! Your porch inspired me to keep on pulling boxes out! Absolutely lovely! Your Christmas decorating ideas truly inspire me! I look forward to your posts, they always bring me a sense of peace in this crazy world. Already finished. Well, I probably would have done a little more but we’ve just received some bad news about my husbands health and I just can’t dwell on Christmas now. However, I love the smell of Christmas and would love one of those wreaths. Thanks just for the opportunity. Just loved your read this morning! Beautiful, Festive, Colorful! Just what I needed. My outside is done, my daughter Chris and I started a couple weeks ago, three stages of decorating. Getting lights up on Picket Fence when weather was good. Then another day when weather permitted, real garland and red bows. Decorated porch with real greens from around the yard, as well as, the back yard around the main bird feeder area. A bit of red color here and there so when snow flies, the red will pop and things will still look pretty. But this past week, my dear friend from age 12, lost her 82 yr. old husband suddenly last Monday. She is alone with no children. My week was devoted to her and helping her right herself to be strong. My daughter helped me yesterday to take down our Fall decorations, so this week I can place a few Christmas items out before I have family arrive from out of town this weekend for our family Christmas. But my friend is all I think about. Her husband spent the last couple days of his life putting up the Christmas lights outside her home. On my second visit with her on Tuesday she was beside herself because she didn’t know how they worked. I looked at the lights off the back porch and found a timer and hooked it up for her. She was so happy. But we could not figure out how to do the front. Could not find the timer. But on Friday when I was there, we found the timer and I hooked them up to come on at 6:00. Beautiful colored lights along her front porch with garland. At 6:15 she called me and left a voicemail, crying with joy that her lights came on and it’s like a gift from Mike and she can’t thank me enough. Filled my heart. So seeing your giveaway today, I had to enter. For if I am lucky enough to win, it will look lovely on her front door!! Last year when you had a giveaway from Lynch Creek Farms, I went out to their website…OH so Beautiful. I can smell the pines!!! Thanks for another wonderful giveaway! Fingers crossed. My decorating is still a work in progress. Plus, I’m decorating a bit in Maysville, KY, my husband’s family homestead. I’m hoping to have the Maysville home finished by the end of this week. My (our) home in Indiana will have to wait. I L.O.V.E. all of the plaid you’ve incorporated in your decorating. Coveting those plaid boots! I’m over halfway finished with my decorating- hope to work on it today & maybe get finished! And yes the bins are driving me crazy! We started this weekend and I will finish in a couple of days. You are so inspiring. Love your traditional red and green decor and those puppies are precious! Not nearly as ‘done’ as I thought I’d be. It is too much fun trying different things and getting distracted by the memories as I unpack past year treasures. Decorating is definitely a labor of love for your family. Love that you have a silver tinsel tree. Many many years ago (somewhere in the neighborhood of 37 years ago) my brother found a brand new tinsel tree unopened out by the curb. He inquired as to whether it was a mistake, and the homeowners said it was his for the taking. To this day he still puts up that very same tree. It’s been through a lot over the years and we call it the Charlie Brown tree. They also do a live tree and decorate both. Cracks me up every year, but it wouldn’t be Christmas without it. Just starting!! Have tree up, but just can’t seem to get motivated on rest. I just finished changing my 52 yr old house into a Christmas wonderland. ( My hubby claim the only wonder is why a 76 yr old is still trying). Oh well I guess the aching back, feet, arms and fingers agree; but it’s THE SEASON. Merry Christmas to you. I agree with so many of your followers- you are our inspiration. Thanks for the opportunity to enter. I am finished with everything except putting up and decorating the tree. My husband is away on business and I am waiting for him to get home so we can go find the “perfect” tree together. He gets home tomorrow morning so a tree hunting we shall go. Your beautiful photos have gotten me so excited to get going on my porch decorating! I’m going back to traditional red this year! Merry Christmas! Hi Mary Your dogs!!! Love them. house. But, I am going to order one of those tabletop arrangements from Lynch Creek Farm It is so pretty!! Would love to have the wreath to go with it. I’m just getting started but am inspired! Love the wreath. Well I am just starting the decorating. But that allows me to enjoy all of the memories of children at home and their favorite ornaments and traditions. Love those sweet doggies ! And would love the smell of the fresh greenery! Your porch looks picture perfect, Mary, and Lola and Gracie are adorable in their cozy sweaters. I love your buffalo check bucket and your poinsettia looks so pretty in the basket. Of course your wellies look so festive, too. Isn’t that amazing that your arrangement lasted until February?! Thank you for sharing the beauty with us, dear Mary. I am finished with decorating and enjoying all the scents and sparkle of the season. Love, love your sweet dogs! Just starting to decorate and the wreath would be the most beautiful addition to my collected decorations should I be fortunate enough to win it! Your porch is so inviting! I have just started my Christmas decorating. I try to do a little every day without being overwhelmed and taking the time to enjoy each display. I love how you incorporated the beauty of the outdoors while decorating on your porch. Just lovely! The ideas I get from my decorating blogger friends is priceless. Thanks for sharing. Your porch is beautiful! My trees are decorated, wreath hung (currently without bow!) but progress is being made!! Another wreath for my back door would be wonderful! So beautiful! You’re way ahead of me but have given me inspiration! Wow…I love every detail of your amazing Christmas porch!! It is perfect! My decorating had to be put on hold due to our non-stop thunder storms that started last Friday. Hopefully we can pick up our fresh tree later today when the rain stops. Busy week to get everything inside and out decorated. Thank you for sharing your many talents!! Your porch is beautiful! I’ve decorated my front porch and a little something to the back porch for the first time, although it’s too cold to sit out. And the inside is all decorated. I even got some sugar and gingerbread cookies made and in the freezer, ready to go.I got to retire this fall, so now there is more time to enjoy the holidays! I am basically done with my decorating, but will be tweaking until the holiday is here! Still need to do a little more outside and we are supposed to have one nice day this week. Will finish then. Love your posts…always so beautiful. For over twenty-five years, I decorated about twenty large trees each season for charities and museums. I volunteered my time and my energy all those years without reservation. Now, my Christmas season is peaceful and restful. I decorate just one beautiful tree for my Family. Its enough! I was diagnosed with lupus and I have finally albeit unwillingly accepted my limitations. I don’t miss decorating all those trees as much because I have your creative posts to enjoy. Thank you for adding beauty and joy to my daily routine. Your porch is beautiful as always. I love the smell of a fresh evergreen wreath during the Christmas holidays. Wow Mary, the first thing I saw when I opened this post was the beautiful centerpiece on the table and knew I was in for a treat! The wreath is gorgeous too, and the way you have woven the red and black plaid through out your cozy porch scene is so pretty! As for decorating, let’s just say my pumpkins are finally gone, the front door has a proper holiday wreath, but there are lingering turkeys on the bar and the tree is still outside in a bucket…I am definitely looking to the heavens for help and energy!! Later this week it’s supposed to get very cold again, maybe if I put on a pretty sweater like Gracie and Lola, I can get finished!! What a fabulous giveaway!! I’m halfway there, I’ve completely decorated indoors. I wanted to decorate outdoors this weekend but it was a washout here in Jersey. I am about 3/4 of the way finished with my decorating. Yesterday the lights went up outside and on the tree, today is decorating the tree with ornaments collected over 39 years of our marriage. So much fun. Love the pictures of your doggies! They are adorable. I have 2 Great Danes, not as easy to dress up for the holidays. Trees are done, outside done, now time to fill in the rest of the trimmings!! A beautiful display of Christmas! Lynch Farms wreath and centerpiece are just gorgeous! I would love to be the recipient of one of their wreaths! Thank you for another eye candy post! I’m about 3/4 done with my Christmas décor! Love to decorate for this time of year. I have never had a real wreath before would love to have one!! Love your porch and would love to have a cup of coffee and relax out there!!!!! Also love your little fur babies. I’ve started, but I’m not as far along as I’d like to be! I forgot to mention that I am finished decorating. In my older years it takes longer and I make decorating more simplistic. However, my Christmas Spirit is still there! This is my first time visiting your site but it won’t be my last! I love how you styled your porch and I often put little birds in various places when decorating. I am starting my decorating today because last week was getting over having company for Thanksgiving as well as decorating our church for the holidays so now it is time for my home. Thanks for the opportunity to win an awesome wreath! Outdoor done, working on decorating the tree. I am all but finished decorating; now I just need to put bins away and get rid of all of the excess glitter that seems to be everywhere! Your decorated front porch is stunning, I love it! My outside lights are all up and there’s a lot of them!! The inside is almost done too. I decorated the master bedroom for the 1st time with a tree of my grown children’s handmade & engraved ornaments and others that have been given to me…I could sit and stare at it all day. Hey there! I have bought and wrapped EVERYTHING but hardly decorated the house. This year we will have my husband’s childhood tree – a large silver aluminum tree and adorn it with antique ornaments. The tree is up but our ornaments are sadly waiting for us to show them off. Halfway started……long ways from done! Your porch looks beautiful. I love the wreath and centerpiece. I am almost done with decorating. Working on the front porch and dining room. Decorating is 80% done! Yay! Happy holidays!!! The tree is up. The garland is hung. Much more to do!! Thank you for sharing such Beautiful ideas!! Good morning Mary, once again your blog keeps me going! Your decorating is such an inspiration! I went to bed last night very overwhelmed with totes of Christmas decorations surrounding me and had to call it quits but waking up this morning and seeing your blog tells me I can do it! I have no decorations outside yet because of this Chicago crazy weather and we are waiting for my daughter to come home from college to decorate are real Christmas tree (that we still haven’t bought yet). Oops! I will have to pull out my Vintage Holiday Magazine that I bought last year that you were featured in for even more ideas! I always love that you decorate with all the greenery and flowers being this time of the year there’s not much for us to look at that’s green here the wreath is beautiful and I’m sure the smell is too while your sitting there enjoying your books! Can we trade places? Merry Christmas! Back to decorating thanks for the little break! This is gorgeous Mary. My decorating hasn’t started yet because of a lot of things that are going on here. I need help! I love your porch and the gorgeous wreath! Usually, I am sitting pretty by now, but this year I seem to be more like the looking up to the heavens photo. We have had a lot of things going on in the last couple of weeks here, so I am very behind, but I am working to get finished. (If there is such a thing as “finished.”) I would truly be thrilled to win a wreath! Thanks for the chance to enter. Merry Christmas! Just pulled out holiday boxes from storage. Sipping away the dust and reminiscing on holidays past and ornaments my children made in grade school (they both have children of their own now) and hoping my classroom children’s parents will treasure the gifts their children are making. As a preschool teacher, my home often takes a backseat to the classroom and schools decor. Children are in school only 2 weeks during the holiday season and I make sure they capture all the joy it holds. Wow your porch is stunning! I love the theme Your two doggies are unbelievably cute…what breed are they? Yesterday I put my wreath on the door and today I put a big gold bow on it. My tree is waiting on my back porch waiting to come into the house later this week for trimming. You are an inspiration! Good morning, Mary. All of your decor is so inviting. Love it!!! My decorating is 99% complete. I am hosting a Christmas luncheon for some dear friends tomorrow, so to make things less stressful I like to be prepared in advance. The only thing left to do is to have my hubby set the timers on the outdoor lights. Happy Monday!! The two pups in white and red ae the Christmas icing on the season. I am done except for stocking stuffers. My favorite part. Love your posts and mostly the babies. They are the best. We have not even begun. We live in Texas and have been waiting for the oaks to lose thier leaves. One last huge one still wont give it up! When its over wr can get through the piles and begin the outside. Just got cold last night so maybe we will have the avalanche of the holders on. My decorating is complete and a few gifts are wrapped, with more to be done. Your porch is lovely, every time I see your bench I swoon, love the shape of it. Merry Christmas!! You have such a gift for decorating, and I love seeing all the things you do. At this moment I am overwhelmed with everything, but I keep trying. I fear I’m a little behind this year. I just finished getting the lights on the tree last night. Today is the day to finish the tree! I got my decor ready early this year !!! I’ve been busy baking and have not started decorating yet! Our fresh Christmas tree is sitting outside waiting to come in and trimmed. The nesting birds are such a cute touch. I have barely started. The only thing we have up is the Advent calendar. We start decorating after we hunt for and cut down our tree next weekend! :) So grateful for all your lovely photos and your kind giveaway. Happy Holidays! I just have the tree to decorate. Everything else is finished, both inside and out. I loved that Thanksgiving was early this year, so I had a week to get things done and start enjoying the season right at the beginning. I’m headed to so. Calif. this week to spend a little “Christmas Cheer” time with my elderly parents and help them decorate, too. So I’m glad I’ll be coming home to a house already done. I am almost done!! I have a very old house with a mantal in every room and just one left to do and the staircase. I bet the wreath smells wonderful!!! Great porch ideas! My decorating is done EXCEPT for my porch and a few more fresh Florida greens. Heading out now in search of a few finishing touches! Thanks for the inspiration! I have the tree assembled and fluffed – and the lights are (finally) working! Boxes of ornaments, etc. are all over the place – hope the decorating fairies show up soon. I am mostly finished with a clean house and sweet simple decorating, just how I like it! I do need evergreens of some sort for my porch so pick me, pick me, heh. I need to look up Lynch Creek because it sounds like it’s in my part of the state. Thanks for sharing your always gorgeous decorating! Everything is down from the attic (as of yesterday) Starting the job of pulling out what I will be decorating with this year today! I also plan to have my two grown daughters select a few things to use in their homes. Less for me to pack back up ;) Merry Christmas too all! So happy I completed my decorating with the help of the mister during Thanksgiving weekend. Now, there is time to enjoy all our efforts as we bake, wrap gifts and entertain friends. Living in the north I have my fingers crossed for a nice snow to put the finishing touch on things. Blessings to all. First< may I just say how much I love today"s porch vignette! Truly Merry & Bright! So far I have taken out my holiday china ( Spode and Lenox with a smattering of Target and Walmart too) and arranged it all on my bakers rack. My nutcrackers are lining the foyer staircase under the garlanded banister, ready to stand duty. This week the tree will go up, followed by the Christmas Village houses. I have yet to arrange my porch and hang the outdoor wreaths. Thank goodness for mild NC weather. So many traditions, so little time. I love your decorations! We are pretty much done with what we are going to do this year. I can’t put everything out this year, but there is still plenty to make the house festive. Happy Holidays to you and yours! I am almost there. Whew!!! A sorority alumnae brunch at my house next weekend has spurred me into action. 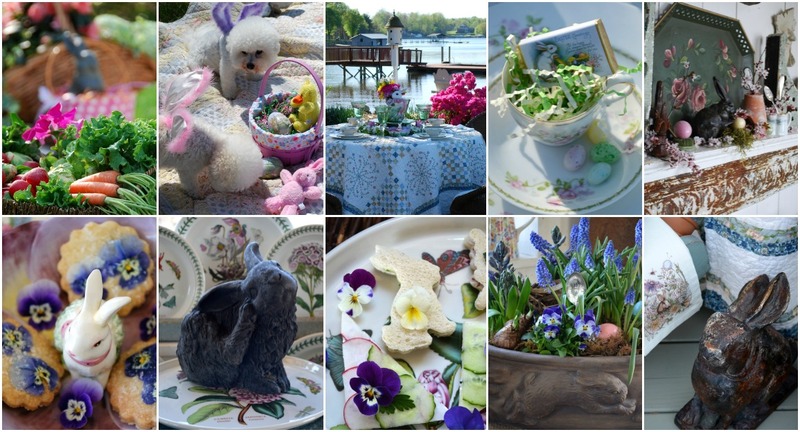 Nothing like a little pressure….Love your porch and I always get inspiration from your tablescapes. Oh so lovely! You are such an inspiration and such gorgeous photos! Putting out solar Xmas lights out front this year and spent 2 hours untangling half of the lights yesterday! They were brand new! Have a merry and blessed holiday season! And keep up the beautiful posts! I love your arrangements. They are so inspiring. I discovered Lynch Creek Farms last year, perhaps on your recommendation. I ordered some green branches. We live in the mountains of far West Texas. I have a 90 foot Ponderosa in my yard and I save the cones for friends and projects. On friend gets them for mulch in her flower beds to keep neighborhood cats from using them for litter boxes. I never get enough of the smell of pine, spruce, and fir. I am still decorating and wrapping presents that need to be mailed. Thanks for your blog. It is a shot of energy and beauty. I’m doing one box a day and hope to be done by the weekend. Your posts are always so inspirational. Gets my creative juices flowing! Your posts are always so inspiring. Sometimes just the thought of all there is to do during this busy time of year can be overwhelming…but your posts truly do inspire me. I have the outside almost finished…have to wait for the Oregon rain to stop to finish the garland on my handrail. We always have a fresh tree so will put that up this week! Then to sit back and enjoy the beauty of this season and all that it represents. It’s beginning to look a lot like Christmas at my house! I am never “done” and like it that way! I add little touches of Holiday every single day during the season! I love your plaids and sweet little touches to make your happy place beautiful! We always divide our house in half—front porch, living room, foyer, dining room, and hall make up one half, and the family room, kitchen, and eating area make up the other. I have finished the front half but am waiting for a burst of energy to complete the second half! But it’s only December 3, so I have a few more days to dawdle around before panic time! Thanks for the chance to win a beautiful wreath. I am just starting but hope to finish up this coming weekend. Getting inspired by these lovely blog posts! I have to admit I haven’t even gotten the decorations out of the attic. Just took down my Autumn wreath. My son, who lives in France will be coming home for Christmas so I will get started soon. Love the use of the tartan plaid, it’s so festive! Just getting started on my decorating. Enjoy your blog so much and love your sweet doggies. I live in Washington state and love these wreaths and centerpieces. They are works of art. I’m just starting to decorate. I reluctantly threw out the pumpkins and it’s time to celebrate Christmas! I love Christmas! Just starting to trim the tree! I enjoy unpacking the Christmas ornaments & remembering the story behind each one collected on travels or gifted from friends. It really is a magical time of year. Your site was the first post that appeared on my Facebook this morning What a wonderful and inspiring way to begin the day. The decorations and especially the fur babies are GORGEOUS! I have not begun decorating . Hope to begin soon. I look forward to reading your postings and the friends that you have suggested I am now going to follow as well . Having lived in many of our amazing beautiful states from New England to the West I am claiming where I live now ( 13 years) the Carolinas TOPS THE LIST! My little niece put out my nativity the other night, but otherwise, zilch! My husband just came home from ICU Saturday so hopefully this week will be getting back to some kind of normal! The wreath is gorgeous, thank you for the opportunity! Well, I thought I was finished until I saw your post. Now I’m inspired to use that roll of plaid ribbon! The house is decorated inside and out….now on to the tree! Beautiful Mary! Love the fresh wreath and centerpiece and your porch decorated so festively. I didn’t start putting ornaments on my tree until yesterday because my ONE-YEAR-old tree lights were not all working!!!! Lovely give-a -way! Have a wonderful week, Mary! Just getting started! Bought our Fraser fir tree over the weekend and is in the garage thawing out. i don’t know whether to laugh or cry. I confess that I have not read every comment answering your question about decorating status, but I saw enough to know that I am far far behind. To date, the only accomplishment toward decorating is placing a candle in each window! I’m afraid my home is not going to be as lushly decorated as I hoped. Every year the intentions are so good and the execution is so poor. Awwww, Mary, I look forward to your porch post with the puppies…so lovely and they are so darn cute! Just beginning…we woke up to a heavy frost this morning and brilliant sunshine…cold and beautiful! Expecting more of the same this week in the Pacific NW, a perfect week to decorate for Christmas! Love your reds & greens, my favorite way to bring the holiday spirit into our home! We’ve put our tree and exterior lights up but I’d like to do more decorating inside and get a new wreath for our door! I’m about to start decorating, but can’t find where my husband stashed my Christmas boxes and he can’t remember (of course). I’m hoping they didn’t get moved to our off-site storage facility! Thanks! Hi Mary, How far along am I?!! Well, after an injury lifting & carrying in logs for the wood stove, I am now taking down my Thanksgiving decorations – inside and outside. It’s an 1860’s Victorian home, no storm windows, so I’m also still putting up plastic! In any case, will have to wait for my children to visit soon and help me bring in the Christmas totes. Absolutely Love your displays for Christmas!! You Inspire Me!! Would love to know where you found the plaid boots and pillow with the bird all wrapped up!! Have looked for plaid boots before. Love your dogs all decked out too!! Thanks so much! Mary, your porch is beautiful! I am almost finished with my decorating. I’m at the point now where I find myself changing things again. You know how that is, you have it all done and then when walking through a room, you decide something isn’t quite right and you start tweaking all over again. Your wreath and centerpiece is so pretty and I would love to be a winner. I discovered you today and I just signed up also to receive your blog. Your front porch is absolutely stunning! I live in an area of Flagstaff, AZ, that is very windy. I would love to have your porch as mine, but it would blow away! Everything we have put out on our porch is anchored down. I even had to put a large rock on my Christmas door mat because I found it one morning nearly at the neighbor’s fence line! I can enjoy your porch, beautiful colors! A lovely porch all decorated with holiday decor and…the cutest pups! Super happy to say that my festive decorating is complete! I’m finished with my decorating but I find myself going back and tweeting something or trying out different vignettes. My decorating is DONE…except if I see something that takes my eye while I’m out shopping LOL. We were going to keep it simple this year but one thing led to another and after many trips to the basement … it’s not exactly “simple” and now we have the outside decorated with lights too. Oh well, we love it! I am sitting pretty! We start the day after Thanksgiving. We are still doing little tweaks here and there but for the most part I am done! Thank you for the giveaway! I am just starting but that is ok! I still have a few pumpkins out- thinking about putting plaid bows on them ;) Your decorations are beautiful As Always!!! Everything is amazing, homey, makes me happy and in the Christmas spirit! Thank you for sharing! I LOVE the tartan plaid accents(BOOTS <3 ) Thanks for sharing ! I NEED to GET BUSY ! I love each and every one of your posts, but none more than the ones involving Christmas! Thank you for the tips and inspiration you so generously share. My decorating is done…other than the little tweaks I can’t seem to help making over the last weeks leading to Christmas! Every year we flip-flop with our children’s in-laws. One year we will have Christmas with our children and the following year we’ll have Thanksgiving with them. This year we had Thanksgiving with them, so our decorating will be minimal. We got rid of our 10 foot tree; it was just too much to deal with, so we are off to find a smaller, more manageable one. I love that wreath, so beautiful and full! Loved your beautiful post of your charming porch. Smitten with your plaid wellies! I had my annual Advent Tea yesterday so most of my decorations as out; I’m going a bit more minimalist this year. The wreath for your giveaway is beautiful. I would be thrilled to win it. Gorgeous Christmas porch! I particularly like the wreath. It looks so lush. Merry Christmas to you! We are only partway finished. We have the nutcracker collection up and on display but everything else is still in the attic. We wait a bit to purchase the tree so we do not bring a lot of the items down until then. I have a nutcracker big bow on the front door and lights outside. Things have been a bit upside down though too because of an injury to my mother just before Thanksgiving. Sitting pretty and enjoying the season. Tree went up the day after Thanksgiving so my college senior son could help my hubby with the lights- have a second tree on my kitchen island- the “angel” tree- written a few Christmas cards along the way! Love your porch…..and our mild NC weather right now but forecast might be snow on Saturday? Wow! I’m almost all finished with my Christmas decorations. There are always a few things to do but overall I am almost all finished. Our front porch is still a bit confused. Christmas things are slowly popping up, but still have a few fall decorations lingering. Seeing your beautiful porch has given me the boost to finish! Thank You!! Just getting started, but love your precious pups and your beautiful porch! The wreath is stunning! Looking forward to the holidays thank you for the opportunity and Merry Christmas to you and yours! I love all the tartan touches and buffalo check on your porch. I am definitely overwhelmed with a new tree to unbox and Christmas storage boxes lined against the wall, waiting to be unpacked! as fabulous as your porch looks, I am afraid Lola & Gracie steal the show… how cute are they in their winter finest!!!! I cannot help but love each & every one of your posts.. you are one amazingly talented lady…. Although I work full time and must spend weekends & late nights putting up my Christmas decor, the only thing I do not already have set up for my Christmas decor is an item from Lynch Creek…. any of their wonderful pieces would just be the icing on the cake… wishing you a very Merry Christmas, Mary!!! I am just starting. Finally have fall put away. I need all the help I can get. Thank you for your very beautiful post. I will be traveling to Indianapolis for Christmas, so am only doing minimal decorating for the first time in my life. I’m making gifts to take with me and all of a sudden it’s time to ship and I’m not ready. I love, love, love your blog and wish I had 1 tenth of your talent. Your’s is my favorite blog and I look forward to each post. Also, your recipes have been wonderful! Family room fresh tree is done. Breakfast nook and tablescape has gone to the dogs (I have 6 dogs myself!). Love the Pier 1 Park Avenue dog plates! Finished decorating skinny black tree with doggy stuff in corner of nook. Finished decorating a skinny white tree with New Year’s Eve theme. A couple of small vignettes are done, but have yet to tackle the dining room and tablescape there. Waiting for the energy and inspiration to get working there!!! :) Mostly waiting for the energy! LOL! I’m keeping it simple and am done with decorating. Your porch decor is just lovely! Beautiful wreath! The inside is done but I haven’t started on the outside yet. All decorated, except the tree. Get a fresh cut tree so will wait a few more days before purchasing. I’m just getting started but your blog has inspired me! It is always such a pleasure to read through. Also, my son and his family are coming home for Christmas this year so I’m hoping to make things extra special. Thanks so much for the inspiration! Merry Christmas to you and the sweet pups. I am completely done and ready to leave on Friday for 2 weeks in the Aruba sun! As a matter of fact I just came home with a brand new UGG bed and throw for my sweet little Emma, our Yorkie who is staying home to guard the tree! Fear not, she won’t be alone as we always have a house sitter to keep her company. LOVE Gracie and Lola’s pretty red sweaters. Adorable. Festive and inviting! I think I saw your buffalo plaid planters ar target! Now I need to go get one too. Love your style. We’ve “decked the halls” and just about done decorating! Just need some fresh pine garland for our mantel and time to bake! Thank you! I love Gracie and Lola’s pretty red sweaters. So charming! I think I saw your buffalo plaid buckets at target and now I need to get one. Cute. Our “halls are decked ” just need fresh pine garland for our mantel. I love all your festive decir. I need that cardinal teapot too. Merry Christmas to you! 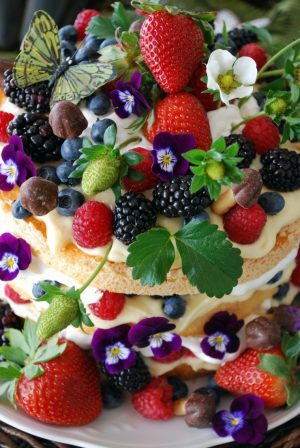 Everything that you post is so beautiful and gives me so much inspiration from your decorating to your recipes. I made two of your Thanksgiving recipes and they were a big hit. I will be definitely trying some of your Christmas recipes as well. I also must mention the dogs, they are so picture perfect and always put a smile on my face. My Maltese Parker wants to follow them…hehe! Thanks for sharing and Merry Christmas to all. Just finished the tree. We did not have one last year as we moved and all our ornaments I had been collecting over the years somehow got sent to the auction. They were all crystal and just made me so upset I just could not put up a tree. I absolutely love your porch!! So cozy and inviting. I am finished with my decorating but some of it could really be spruced up, including my wreaths. I am having some back issues and haven’t had a chance to do much shopping for some new decorations. Would love to win this beautiful wreath!! Merry Christmas!! Haven’t started! Recovering from knee surgery, so I am waiting for my son to come home from college to help. As always, beautiful pictures. Happy Holidays! I LOVE all the plaid ! Love your decorating style too. Haven’t decorated one bit yet , on a beach this week drinking up the sun and heat . I look forward to your blog . Thanks . That wreath and centerpiece are stunning. Your porch and pups look beautiful. Thankfully, I am finished decorating….I think. Thanks for the giveaway and Merry Christmas. I just decorated the small tree in my bedroom. I have a lot more to do. I have changed most of the curtains in my home. I am going to put out the kitchen accessories potholders,tablecloth,etc. Tomorrow I am going to decorate the outside. I di buy our live tree today. I finished decorating for our blog tour that’s going on this week, but I’m still waiting for new Christmas pillowcases to arrive for the bedrooms. So I guess you could say I’m finished and hope to start baking and creating other things for Christmas. The girls look lovely all dressed up for the holidays and the fresh greens are gorgeous. Living in Michigan, they would last well into February! I’ve been working on making books for both my daughters for 6 months now and an enormous busy book for my two grandbabies for just as long as their Christmas gifts. None of them are fully done yet, but getting there. Joy to be sure, but STRESS as the clock ticks down too! Add to that hosting a baby girl shower 12-23 and having the huge blessing of lots of family coming for Christmas….well, I haven’t gotten past decorating my fireplace mantle! But it’s on the list! Would utterly adore that wreath! Merry Christmas ! Oh I can just imagine the evergreen scents on your cozy back porch. What vivid Christmas colors to supercharge our spirits to add fresh greenery to our decor! I finished my living room decorating and love the vignettes I put together. On top of my cream colored vintage dresser sits an antique typewriter with a letter beginning with: Dear Santa, next to it is vintage looking “Letters for Santa Mailbox” , and a Believe Bell from Polar Express Train ride. On the mirror hangs a country wreath with burlap ribbon and the word Believe written throughout the ribbon. I want my youngest grandson to type a letter to Santa and mail it immediately. He will love it! Your porch is lovely. I’m about 25% into my decorating. I’ll go at it until I get tired and then call it done and lovely. A Merry Christmas to you! I am finished decorating. I will finish the wrapping tomorrow. Then on to the FUN Stuff like, baking, making gingerbread houses with the grandkids (even though the youngest one is 15 years old), Christmas programs and Light shows. Merry Christmas! God Bless us, Every One! Thanks for the cute pictures of those sweet doggies! They made me smile on a difficult day. They are so adorable. Sadly I am so behind in decorating but hope to get at it soon. Decorations just make everything so much nicer! With the temperatures near 70 today along the coast of NC it is hard to get in the Christmas spirit! I learned my lesson last year buying a Christmas tree at the coast. It dropping needles and dried out by the time Christmas day was here. We were visiting family in Winston-Salem and bought a beautiful tree and brought it home to decorated. All the decorations are up and enjoying my beautiful tree and holiday decorations! I am just starting but it won’t take long. I have a very simple and natural style. Thank you for this opportunity. I have so little done, I tried but ran out of steam. I lost my precious dog in July and still haven’t adjusted. Your Lola and Gracie made me smile-they’re so beautiful decked out for Christmas. Love your plaid Wellies. Everything is really beautiful and inspiring. I go visit a friend later this week and we’ll be visiting a nursery that has a lot of trees all decorated with different themes so I hoping it will help me get in more of a Christmas mood. Thank you for sharing. Absolutely stunning and so inviting! Just recently started following your blog. Decor is done, only did the porch and yard this year, it’s just me and a menagerie of pets, no visitors. Volunteering at the shelter and food bank any anywhere else someone may need a helping hand. Love your fur babies, they are just so darn cute! Happy Holidays to all. Ummm, I got the boxes down from the attic! Goodness, I wish I could be much further along…but so far I’ve decorated a small tree inside and put a sweet Santa blow mold on the front porch. The silver tree goes up this weekend! Grands will be here then, and they love to decorate, so I’ll be in good hands! Merry Christmas 🎄 everyone! Almost finished my Christmas decorating. Love all the inspirations you continue to give us all. Beautiful porch! I love fresh greenery. Ordered one of their centerpieces today. Thank you for the link. I’m woefully behind this year for decorating. This time last year I had it all done. My only consolation is my Christmas shopping is done! Just got my tree yesterday. Gorgeous 9 foot Frasir Fur. I was shocked at the price. It’s double from last year. It’s turning cold again, so that gets me in the mood. Should have it all done by the weekend! As always, the puppies are precious. Lola always looks like the cat that swallowed the canary! She’s precious! Thank you for such a thoughtful giveaway, Mary. Mary, I was just reading some of the comments and came upon one from a lady named Vicki. It broke my heart to read she lost all her treasured ornaments in a move, by mistake. I wish there was some way all of your readers could “donate” a crystal or cherished ornament of their own and send it to her. A little token from all of us who love the holidays to cheer her. I remember how I felt the year my tree fell over and so many of my old family and collectable ornaments were broken, but I didn’t loose them all like Vicki. Bless her heart! The greens in this post are gorgeous…color, freshness, decorated so perfectly..I know you shall enjoy them for many weeks…I can almost smell their lovely fragrance…as for my decorating, I am just now undoing the fall decorations in my home, then I shall go on the hunt for my decorations…I did not use many last year, nor the year before….2016 was the Great Flood here, and 2017 my husband had major heart surgery in November…therefore, very little decorating took place. I shall make up for lost time this year! Many thanks again for sharing…Have a splendid Christmas Season! Hello. I never seem to finish. I start something and it turns into a domino effect, cleaning, rearranging, moving from room to room, etc. But I enjoy it. Merry Christmas! I would be a lot further along if I hadn’t managed to break my foot a week ago. Still, I’m hobbling along and slowly getting all my decorating done. I know you know, but that porch of yours is gorgeous. Always, the day after Thanksgiving, my grandson, who is an adult now, and I put out my Dicken’s Village. Alex and I have done this together every year since he was a little boy and he has let me know (and I agree) that he wants to inherit it someday. This means so much to me! The village becomes just a winter village after Christmas and stays up through February! Very special all lit up on those cold winter nights! A few touches here and there, but the rest of the decorating will be done this weekend. Well, the tree is up. No topper. Wreath on the front door, no bow. Four stockings are hung but I need a fifth stocking hanger. I have a long way to go and not much left in the stores to choose from. I’m running way behind but helped with the decorations at our beloved Women’s Club Building for our Christmas Luncheon today. It was beautiful with my friend’s many, many Santas brightening every corner. But I must do my home! I always love your potting shed. But Christmas is just beautiful . What a beautiful porch! Your teapot reminds me of my grandmother, now I will have to find one for myself. 😀 My decorating is almost complete, and we are enjoying the Christmas season. Thanks for sharing! I love the color and comfort of your front porch. I am working my holiday preparations slowly, and hopefully, surely. Getting the tree up today! We are going tree shopping Thursday!! Beautiful pictures of your porch! Oh my! Your pups are so cute! I am finished decorating, though I haven’t wrapped one present yet. And I consider presents a big part of the decorations. Don’t you? Thanks for a fun giveaway! Your porch looks SO inviting with your beautiful wreath and centerpiece from LCF! I got a live wreath as a thank you from a neighbor so I think YOU for the tip to mist the back. As for my decorating, I am DONE! I have a new tradition: I try to get it done by Nov. 20th as my son comes up from Fl. for C’s birthday and stays for Thanksgiving. He isn’t here for Christmas so I like to have it done for him. Have a beautiful week, Mary. Mary your porch is beautiful. And the pups are so festive! I decorated the Saturday after thanksgiving but continue to add and tweak. Lovely giveaway. I should be Christmas ready!!! Loved your porch! I would love to read your books on your porch and just enjoy all your wonderful decorations! Thanks for sharing your wonderful porch with us! Merry Christmas! Loved your wreath and green arrangement along with everything else. I began decorating right after Thanksgiving. I just love your posts and I use so many of your ideas. My entire house is completely decorated and I am enjoying every minute of it. Merry Christmas and thank you for your wonderful inspiration. I am almost finished with my decorating, however I am one that likes to tweak right up till the end. I will see something and decide where it needs to be added for an extra! Just starting but your post has certainly inspired me!! Love your decorating for every occasion! I am 85% complete. Yay…I am done with my decorating! Now I get to bake some yummy treats while I wait for the rest of my family to arrive! Simply BEAUTIFUL! The fresh greens add so much and I’m loving the red/black plaid ribbons. Decorating is done – inside and out. So glad that I now get to have a few minutes to enjoy each night. Your blog should inspire anyone who hasn’t started plenty of ideas and inspiration. Love your blog – thank you for sharing your never ending talent and inspiration for us all to enjoy. Holiday wishes to you! Leaving town for Christmas but the wreath is on the door! Now to get a handle on the wrapping! ……..and your posts ALWAYS make my day. I have no “creative” abilities, but, boy, can I copy. Always creative juices are running after viewing your posts. Thank you! We have our lights and our tree up, but we still need to trim the tree. What a blessing I found this morning; your Blog! Beautiful ideas and gorgeous green wreath! I love the boots; what a wonderful idea for the entrance! I plan on finishing this week but so excited I found your blog! the centerpiece and wreaths are gorgeous. I’m about 75% finished … It’s been that way for a week. We have to finish before Friday. Unfortunately work and life are getting in the way! Thank you, Mary, for ALL of your wonderful postings and inspiring ideas! It’s especially great for me this year as I am in the process of moving from a condo back into a REAL house with a fabulous large front porch! Christmas this year, however, consists of putting the battery operated candles in each of the front windows. The entire subloor in the kitchen is being replaced and fresh flooring has to go into the entire house, so my actual moving date isn’t until the 26th of December. But I am keeping merry just looking at all your beautiful arrangements! Merry Christmas and a most Happy New Year! I try to get an early start on decorating, enjoying it all month long! Adding little touches whenever inspired by blogs like yours. Love your style, great post!! I just got back from NYC and have pulled out all my Christmas decorations….cant wait to display and create Christmas cheer! Mary your porch and pups looks beautiful. Thank you for always sharing so much beauty with us, it brings joy to my heart. We just finished decorating 2 Christmas trees on Saturday and the outdoors is finished too. I just have a few things left to do. Thanks for the chance to win a beautiful wreath. Merry Christmas! Mary- Love, love, love your blog! I’ve had four surgeries this year, and although much of the year has passed me by, Christmas certainly will not. I have almost finished decorating but still have a spot for your giveaway! I am putting things up a couple everyday. We were away in Orlando for a few days and I came back with the palm pods that fall off the trees. I am going to turn them into 12 reindeer for family and friends. You can imagine me explaining to Southwest what was in the box. I always look forward to seeing your latest posts, you are so talented. It is so fun and I also like to steal some of your ideas. I am done with my Christmas decorating inside and out. But I am always tweaking and moving things around. Surrounded by stacks of boxes and definitely overwhelmed, but the pup pictures brought a smile to my face! They are precious in their Christmas sweaters! I’m just starting and really love the fresh wreath and tabletop. Love the smell of fresh evergreens. I have told friends about your page and we all enjoy it so much. Thank you. Merry Christmas. We hosted a family holiday party on Saturday Dec. 1st, so I had motivation to get my decorations up early. The week between Thanksgiving and the party were hectic. My lovely new tree with snowy clumps and faux ice is so pretty but o what a messy thing she is. I will be vacuuming pieces until Spring! I haven’t gotten started on my house yet. Been to busy w/pottery shows!!! Oh my can Gracie and Lola get any cuter? I am in the middle of holiday mayhem and loving every minute of it! It always takes priority than the rest all falls into place. It is very generous of Lynch Creek Farm to give all of us here in blog land a opportunity to win such a beautiful wreath. Please enter me into the drawing . The pops of red would look great with my decor this year. see relatives. It is looking “Christmasy” though! Thanksfor all your great ideas! I’m finished Christmas decorating I thought until I saw those plaid Wellies! They’re delightful and so are your pups. I just started decorating by giving my porch country touch for this season . thanks for sharing your Tips . Oh I love you porch, the Wellies, everything! I live in Coastal SC, usually it is warm at this time of the year, but we are and have experienced some cold (like yesterday and today, 34 and 35 degrees in the morning)…We have finished our porch, garlands and lights on the front, an antique grain sifter with a wreath inside and peeking up is a Canada Geese that my Dad made many years ago..On our “coffee table” is a Swan decoy sitting on a galvanized pail surrounded by a green garland with lights, the grain sifter also has lights! It seemed like a struggle to get it all done yesterday, adding replacement lights etc…But now its all done! I am nearly finished but I have 3 fireplaces: den, porch and master bedroom. I still must tackle the master bedroom. I’m hoping to start the decorating process next week. We recently moved, downsized and still going through moving boxes. I’ll get there! Just love the plaid Wellies with greens. I seldom comment but this porch grouping is breathtaking! I love every single part of it. I would buy that teapot if I could find it in a store. The wreath, the piece its hanging on, the basket of poinsettias…..all make my heart happy. Great job! This year(for once), I was on the ball. I completed all my Christmas decorating the last week of November…yeah me! Inside is finished decorating. The front porch still needs to be decorated. My faux wreath is looking a bit sad so looking for a new one. Just getting started here. The weather is warm. Lovely display. Enjoy your post. I love your colorful, cozy style on the porch. And that wreath is beautiful ! I live in the desert and could use a bit of greenery on my porch too. Just gorgeous!! !❤️ Mary, you never disappoint and you are one of my favs! You are such a talented stylist and your adorable dogs add so much love and charm! Love the wreath! Thank you for sharing! Merry Christmas to you! I have just about finished decorating. The challenge is trying to find a place for all my favorite things after downsizing in our “retirement” home. Looking at all these pictures is a feast for the eyes and a pleasure I give myself each day. Thank you for sharing! Wow! This post just might give me the motivation to finish my decorating. I started before November but just can’t seem to get the right look this year. Thanks for these beautiful ideas. Your porch is so adorable and inviting, and so are Gracie and Lola ! I put my tree up the first week of November and am totally done with decorating.I like to look at all the beauty for as long as possible. Your porch is so cozy and full of Christmas spirit! I have barely gotten started decorating. One tree is up, lights strung, garland on and a few new ornaments I purchased. It’s still waiting for more ornaments. Another tree is up (I snagged it at a 40% off sale this week) but has nothing–not even a tree skirt yet. I am looking forward to a quiet Saturday with snow in the forecast to get me in the mood to finish my decor. I have recently moved and have a bare yard, so no fresh greenery to decorate with. My daughter and I spied a pile of tree trimmings on the side of the road and with permission from the property owner, loaded up her truck! Now just to get time to deck the halls! This wreath would be a very welcome addition to my decor. Mary, Your porch immediately puts me in the Christmas spirit! I’m loving the beautiful evergreen wreath and centerpiece and all your tartan touches. Gracie and Lola are adorable and so festive in their plaid sweaters! I’m finishing my decorating today, putting on the final touches and getting the boxes and bins back to the basement. Thanks for the Christmas cheer and opportunity to win! I’m new to your blog, but I love what you’ve done with your porch! Living in Maine, you can’t really decorate an open porch – it won’t last long!. Love all the plaid! That’s my favorite – especially the greens in the plaid boots! Hope I can win some beautiful greens from Lynch Creek Farms! I’m about 90% done, as I’m not doing as much this year as normal. First year blogging, and I am still acclimating. Visiting by way of Stonegable. Thank you for sharing your beautiful post, and for the give-away! Taking Chemo and finding it hard to get things going! I usually leave my tree up through New Year! So I have some time! Appreciate you! Thank you for sharing your cheerful,cozy Christmas corner! I have done most of my decorating outside, the mantel and the rooms of the house, but still need to finish the tree. I am trying to decide whether to put up my tree this year. I have pillows and throws out and that is it so far. Wanted you to know how much I loved this post including Gracie and Lola but since I was one of your blessed winners in your last giveaway please do not include me this time. Thanks so much; Merry Christmas! I did enter from some of the other blogs for their giveaways 😉. I LOVE your potting shed. Such cute ideas..
We’ll be celebrating with our daughter this Christmas so I haven’t done much decorating, in fact my “tree” this year is a brightly lit peacock that I purchased at a local Christmas store a few years ago. From the front of our house, you can’t tell it’s not a tree. I’ve used blue & green Christmas lights on a topiary by the front door and a few green & blue solar lights to light the path to our door. I have gathered the Christmas linens I purchased on a holiday trip to the European Christmas markets & used angels, candles, and poinsettias to create vignettes throughout our home. We are almost finished. Today is my birthday so we may take it off and go out and enjoy some Christmas shopping. We will also get more inspiration. My husband retired at the end of last year so he is inspired to join in the fun of decorating our house. He has a whole new perspective on where things might look good. So I am letting him loose to do what ever he wants. I have been doing it for 42 years so let the fun begin. I am completely finished with decorating. This year the decorating went very well. Three of our children and our daughter’s friend traded their decorating skills for food while I cooked their dinner. I may have to make that a Christmas tradition. Merry Christmas!! Just starting. We decided to have our interiors painted – what were we thinking? Now they are through and it looks great but we have to put everything back where it belongs AND do the Christmas decorating!! I have most of my decorating done… I love the twinkle of lights this time of year. I still need to add some finishing touches, but haven’t started shopping or baking! First of all, you’ve done it again…. (and again and again….lol). I love the porch all decorated in red, green and white and the nature details!!! Lola and Gracie are the icing on the cake. I feel more decorated than I have ever before (about 90%) which is a really good feeling. I have two more areas to go – a bakers rack in my sun room and a wall basket outside on my deck that I will finish today. I could actually keep going and do more but I will see how things go…..I’m fortunate to be retired so that takes so much pressure off and gives you so much more time. I have a large house and many beautiful decorations but I’ve actually worked on scaling down some – which can be really hard to do because its hard to part with treasures. Gorgeous and I am “Greenery” with envy. Due to boxes and extra furniture, not mine, stacked and over crowding my home, I am not able to plan my usual holiday decorating. I am in the process of creating little vinette’s around my home, and taking pleasure in being creative with dioramas. Thank you, for allowing me to get lost in your stunning Decorations. I’m about half way done with decorating. I always enjoy seeing your decorations and table settings. They inspire my creativity! Simply stated, classic design for tranquil holidays. Very inspiring! I haven’t done much yet but will do more as the mood strikes. I always love seeing your beautiful decorations, just wish I had your talent! Pingback: Monday Morning Blooms Tour Round Up and Giveaways! I have been decorated since mid November. But everyday I add to the decor and make adjustments. I can’t get enough of Christmas. It’s a special time filled with giving, baking, family. Not decorating this year because i’m moving out of state at the end of january. :( I AM excited for the move, however! Your porch is beautiful! Love the Welles!!! I am about 60% through with decorating as my family has the flu and I’m being a nurse to them. Would love to win the wreath to make my house smell better than a can of Lysol I’m spraying all the time. Just gorgeous! We have been sick with a terrible cold that just will not let go, ugh, the never ending cold. So we have not even started decorating and family will be coming. I am starting to feel in a panic! I won’t give up though. Fall clean-up starts today followed by light Christmas decor this week! Merry Christmas to you all! 75% done—working on the tree today! Beautiful decor and I love the plaid! Christmas decorations are up and almost 99% finished with everything with the exception of our game table in the sunroom. I love plants and have been wanting a beautiful Christmas cactus to use as the centerpiece on the table along with some holiday decor. Of course, I have my heart set on one that is a little different, not the usual red or deep pink ones that the big box stores have. Therefore, I called our local nursery in Pawleys Island and they have several colors to choose from and that’s where I am going shortly! Your website is exactly what I needed to get motivated this year! I’ve made a couple of Christmas gifts – several more to go – and have the materials for Christmas cards together but not started. Usually have the house decorated by first of December but haven’t even started decorating this year. I think this weekend will be the perfect weekend to do that. The smell of fresh wreath would be wonderful! It’s all so beautiful! Thank you for sharing. Hoping to finish decorating on Sunday. A fresh front door wreath would be a perfect finale! Merry Christmas to you and David. I am slowly decorating our home this year. I am no where near finished, but am enjoying what I’ve done. Your decorations are gorgeous! I would love to be as talented a decorator as you!